Can I deduct the cost of online publishing courses I enrolled in 2017? I have not made any money yet and have not published yet. I will have a work out in a few months. 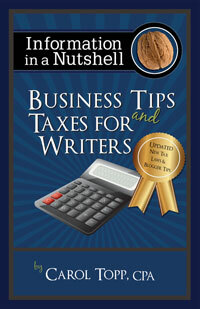 The publishing course is a legitimate business deduction, so yes you can deduct it. But you may want to include it as part of your start up expenses in the year you make money or actually publish the book rather than deduct it in 2017 when you have no income from the business. It looks suspicious to the IRS to have business expenses but no income. It’s been updated to include the new changes to the tax laws!